That sounds like a REEL job! Thank God you have to be sane to obtain a gun permit. I mean where would we be if unstable people, not that you are unstable Lee, just because you are on a therapists couch, were allowed to get a gun. It would be like being able to get a gun at Walmart with your driver’s license. Preposterous. that is insane… you can get your driver’s license at wal-mart?? Damn that pilot error! 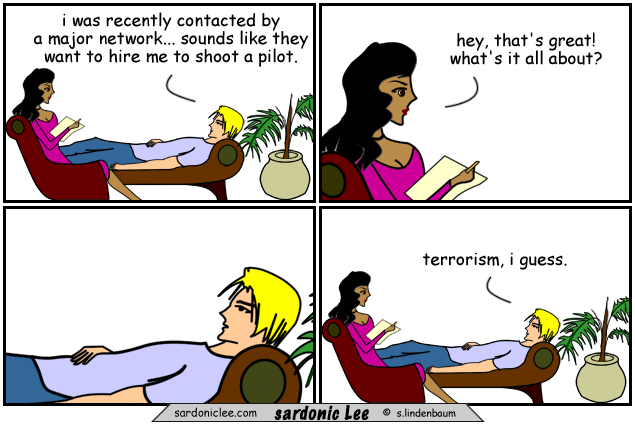 And those terrorist networks!